We’ve been sent several books to add to our reading collection. If you are looking for some great kids books, these all got a thumbs up from Arianna and Evan this past month. 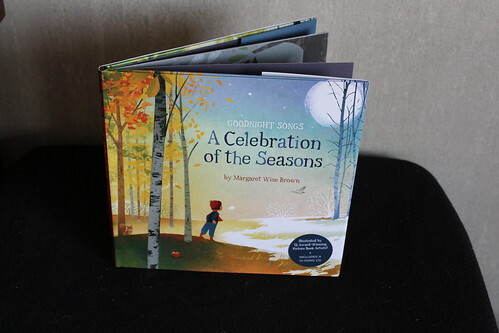 (All information in this reading roundup is from Sterling Publishing’s Kids’ Division. Their website is currently under construction; however, you can find them as a listed publisher here.) Happy Reading! As with the original, this collection brings together twelve of the poems that were discovered in Brown’s sister’s home—all but two of which have never before been published—and sets each to an original score by musicians Tom Proutt and Emily Gary. 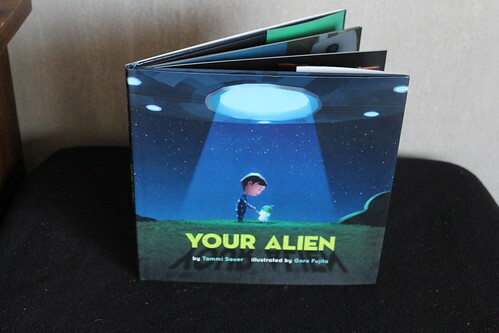 …a little boy meets a little alien, and the two become instant friends! They go to school, explore the neighborhood, and have lots of fun. But at bedtime, the alien suddenly grows very sad. Can the boy figure out what his new buddy needs most of all? This funny, heartwarming story proves that friends and family are the most important things in the universe, no matter who you are! The big kids now have their eyes peeled for their own alien. Mine are still watery from how the book ends. Parents, we struggle to get through some of our days, but you’ll agree with me that the end of the book is the best part about being a parent. Every child—and plenty of adults—know that nothing’s funnier than a fart joke. And it’s also a universal truth (and mysterious fact) that people don’t mind the smell of their own farts, while everyone else’s should be avoided at all costs. 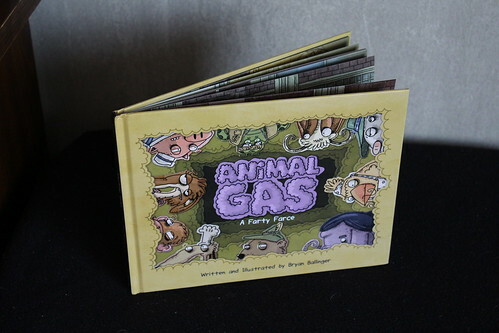 Animal Gas: A Farty Farce (Sterling Children’s Books, July 2015) by Bryan Ballinger explores this hilarious concept through a parade of wacky animals who describe why they don’t think their own farts stink—against the truth about how they REALLY smell! Ballinger’s comical and detailed illustrations give the characters their own personalities while skillfully using imagery to relay their different scents. This one gets tons of giggles from my big kids. Check out a quick Instagram video of them reading it! I’m sorry to put an earworm in your head for the weekend, but “This Old Van” is a take on the classic song that you’re now humming. It kinda made me wonder if any of my relatives would’ve been caught enjoying life like this if they’d played their cards right. 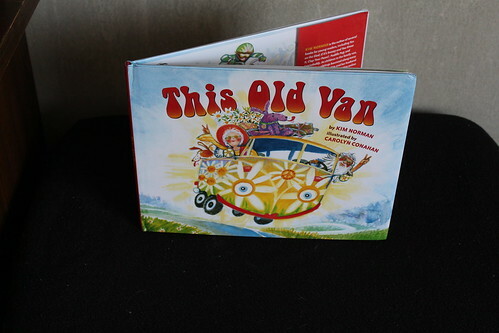 Pack your bags and load up the old Volkswagen for the rollicking ride that is Kim Norman’s This Old Van(Sterling Children’s Books, August 2015), a joyful take on the classic children’s counting song “This Old Man.”The nonsensical and dated counting song children are familiar with receives new life through Norman’s fun, fresh, and clever edits and Conahan’s elaborate pastel illustrations, each filled with bright colors, adorable clothed animals, smiling passerby, and an assortment of animated automobiles with personalities of their own. 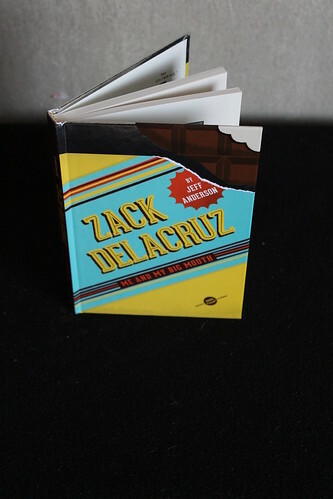 Twelve-year-old Zack Delacruz has remained happily unnoticed at his middle school… until now. When he sees his classmate being teased by the school bully, Zack surprises everyone – including himself – by breaking out of his shell and standing up to the tormentor. Somehow this act of bravery gets Zack put in charge of the sixth-grade dance fundraiser with none other than the bully himself! Zack’s situation goes from bad to worse when he learns that his best salesperson for the chocolate bar fundraiser has been EATING – not selling – her candy bars. Zack never wanted to be the class hero, but with the hopes of the entire sixth grade on the line, can he come up with a new plan to save the dance? With a diverse cast of characters, a great anti-bullying message, and incredibly funny and clever writing, everyone will be falling for ZACK DELACRUZ (Sterling Children’s Books, August 2015) by Jeff Anderson! This entry was posted in Book Reviews and tagged bedtime, kids' books. Bookmark the permalink.